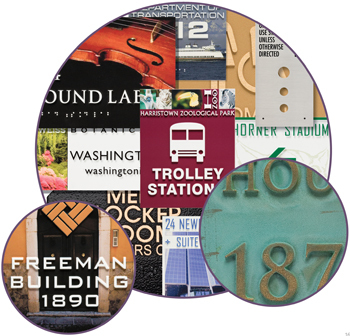 photographic images for the surface of your plaques. overall beauty, but instead actually enhance it. the copy, braille, and emblem or design elements are all integral to the body of the plaque. 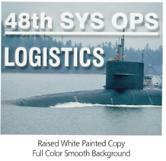 on design for these products is the quality of the image provided for reproduction. overall shape of the individual plaques. individuals with disabilities have in trying to navigate throughout our society independently. ADA specifications. 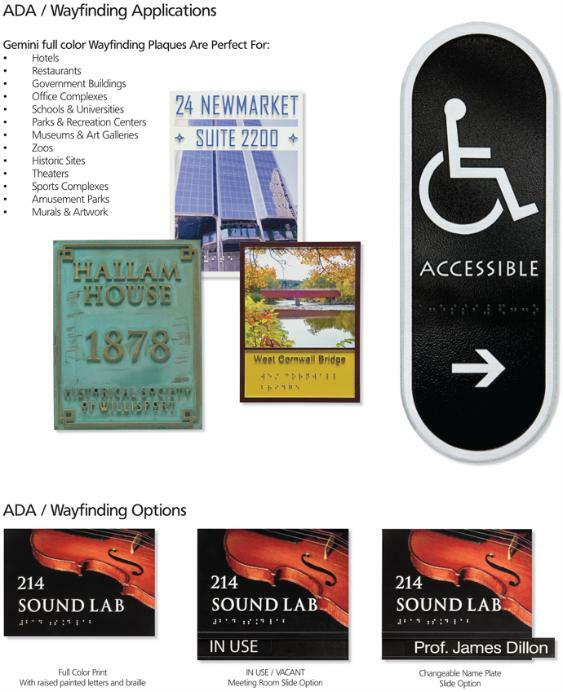 The symbols depicted on our ADA signs meet Department of Transportation standards. corners are available on custom ADA signs. If they are not already, offices, medical facilities, schools, and government buildings are becoming ADA compliant. as maximum occupancy signs and evacuation maps. attractive ADA-compliant plaque may seem like a daunting task. It doesn’t have to be. interior room identification signs that are functional and compliant, while coordinating attractively with interior finishes. although they will last under most moderate weathering conditions. under most moderate weathering conditions.